Imonolith is a hard hitting, Canadian based Hard Rock/Metal band made up of an impressive pedigree of musicians. The band was formed in February 2018 by Drummer, Ryan ‘RVP’ Van Poederooyen (Devin Townsend Project/Band) and Guitarist, Brian Waddell (Devin Townsend Project/Band). The pair originally started writing music together for the then untitled band in 2015, while respectively playing in the Devin Townsend Project (2009-2018). Bassist – Byron Stroud (Strapping Young Lad, Fear Factory, 3 Inches of Blood, Zimmers Hole), Vocalist – Jon Howard (Threat Signal, Arkaea) and 2nd Guitarist – Kai Huppunen (Methods of Mayhem, Noise Therapy) complete Imonolith as a band. 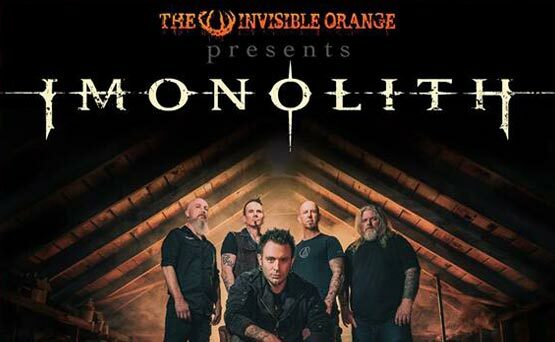 IMONOLITH is a hard working and devoted group of accomplished musicians, who have amassed a ton of professional experience recording albums and touring the world through the past bands they played with over the past 15+ years. Their collective touring experience includes performing live throughout continents such as, North America, South America, Europe, Asia and Australia. As a newly formed band in 2018, Imonolith have gained a fanbase of thousands worldwide through their Social Media outlets. IMONOLITH’s music is best described as a heavy, driven, transcendent genre of Hard Rock/Metal that can access radio and still please the metal enthusiast all in one. You can count on overall strong hooks, captivating and energetic vocals, along with creative yet crushing guitars, bass and drumming. IMONOLITH’s debut single, Hollow is being released on January 18th, 2019. The song was produced, recorded and mixed by the Production Team of Brian Howes and Jay Van Poederooyen (Nickelback, Chris Cornell, Airbourne, Hinder, Daughtry) at Van Howes Studios in Los Angeles, California. Imonolith’s debut album is scheduled to be released in the summer of 2019 and followed up with extensive touring.